Product #1847 | SKU 678 | 0.0 (no ratings yet) Thanks for your rating! 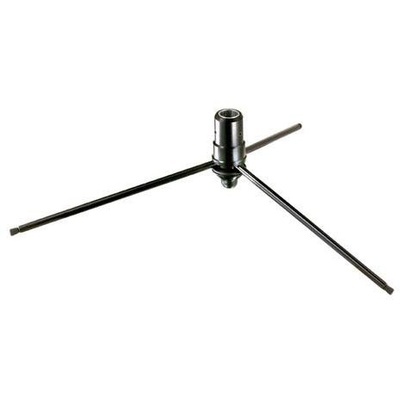 The Manfrotto 678 Universal Folding Base accessory allows the addition of a base made of three foldable high strength steel legs for monopods 679, 680, 681 and older style 3016, 3018, 3249. The legs can be folded and stored inside the bottom section of the monopod ready for use in just a few seconds.